Wow! It’s taken me a LONG time to accept my awards. I’m a little old to be learning how to do all this stuff, & I finally was able to have a friend show me how to make this happen. But, I hear it’s good for the brain to learn new & challenging things, so there you go. I am excited to receive these awards! Thank you bunches, Grndma Chris, for nominating me for the Very Inspiring Blogger award– my first one. You check in on me often & say nice things about my posts, so again, thanks! 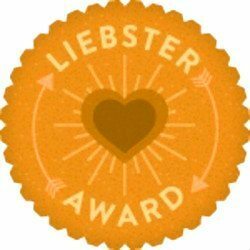 MSC Gal, big thanks to you for the Liebster Award! I am surprised & honored to receive a second award. Because I specialize in helping folks with food sensitivities, I feel like you and I are part of some sort of sisterhood, making it possible for people to navigate in challenging health circumstances. Keep up the good work!